Do you work with or around dangerous or hazardous substances? 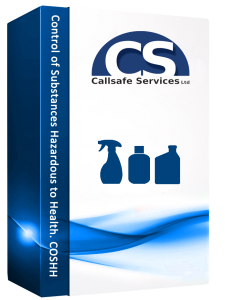 The Control of Substances Hazardous to Health Regulations 2002 were made under the Health and Safety at Work Act 1974. Like the Act from which it came, working safely with hazardous substances is the responsibility of everyone; from the substance supplier to the employer and the end user. Cleaners, hairdressers, welders, bakery workers, garage workers, healthcare staff, to name a few occupations, are all at danger to be be exposed to dangerous substances. 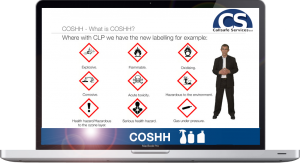 If you are at work and work with potential harmful substances then this course applies to you. This course covers the latest Classification, Labeling and Packaging (CLP) Regulations. This course focuses on The Control of Substances Hazardous to Health Regulations 2002 and what you as either a employer or employee need to do to comply with such a regulation when working with or around dangerous substances. 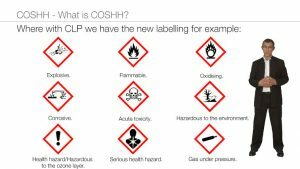 This course will put the COSHH regulations into perspective, what the latest labeling system means and offering the latest information based around COSHH. Understanding the importance of Personal Protection Equipment. How, now, you should be using Safety Data Sheets instead of the old Material Safety Data Sheets. Over 13 thousand people die prematurely each year due to industrial disease caused by breathing in hazardous dusts and fumes. In 2015 there were an estimated 1.2 million people who were suffering from illnesses caused by or made worse by work. Personal Protective Equipment – PPE.